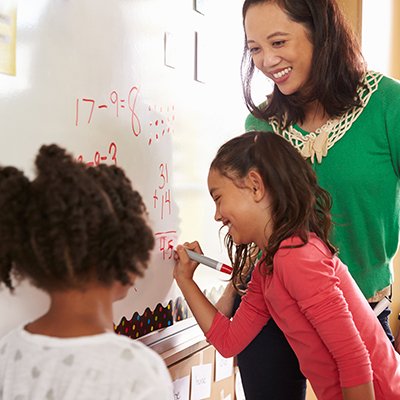 Participants in the Mathematics Education program will gain experience in and subject expertise and knowledge of the teaching of mathematics at the school level. The program is open to teachers and professionals in related areas. Interested individuals who are not qualified teachers should contact Dr. Lorrie Miller. Dr. Ann Anderson, tel: 604.822.5298. Diploma students need approval to register for these courses. Please ask a Teacher Education Program Coordinator to assist you or contact the Teacher Education Office. If you wish to complete a 30-credit UBC-conferred post-degree diploma, apply for admission in this category, and be sure to indicate the specific Diploma program you are applying to. View the Application & Registration page for full details and instructions. Note that fees are subject to change by the University. Tuition fees for Education Diploma (DEDU) programs are found in the UBC Calendar: Post-baccalaureate Tuition. Tuition for courses applied toward a certificate will be charged on a per-credit basis. Current tuition fees are found in the UBC Calendar: Non-Degree Studies Tuition. Certain additional fees apply to students who take courses on campus. Students who meet certain requirements may opt out of the U-Pass and AMS Extended Health and Dental Plan, during the first two weeks of the term. To see if you qualify for the U-Pass fee exemption, read the U-Pass FAQ information. If you think you qualify for an exemption, login to the Student Service Centre (SSC) and click on the Financial Summary tab to navigate to the U-Pass fee exemption page. If you already have medical/dental coverage (other than BC MSP), you may be able to apply for an exemption if you meet certain requirements and follow the opt-out procedures. Visit the Student Service Centre (SSC) for more information. Students registered in on-campus courses in the summer session are not assessed Health/Dental Plan fees.